Pushkar in Rajasthan is a sacred place for Hindus located near Ajmer , Rajasthan state in India. 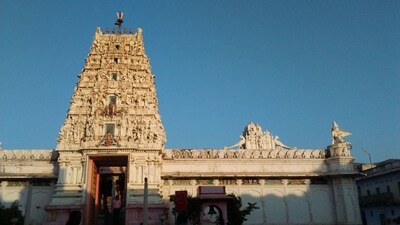 Pushkar is full of temples, small big, there are many. 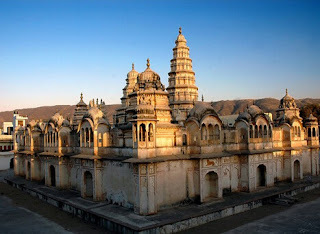 This is the largest and the most imposing of the modern temples, and is situated at the entrance to the town of Pushkar.Among them one of the Rangji Temple is one of the ancient temples out of the many temples existing in Pushkar, Rajasthan. 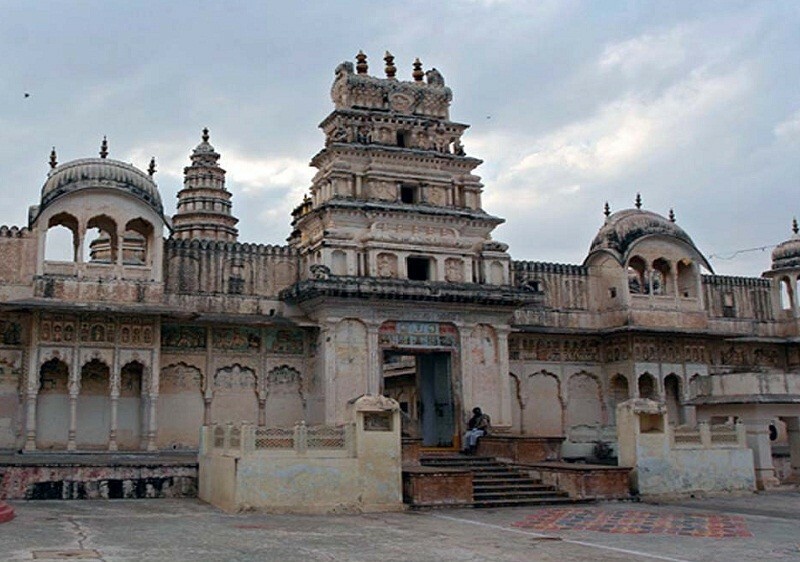 Here is some fact about Rangji or Rangnath Temple in Pushkar Rajasthan. Built By: Seth Puran Mal Ganeriwal of Hyderabad. Rangji or Rangnath Temple is located in Pushkar city of Rajasthan.The old Rangaji temple was built in 1823 and built by Seth Puran Mal Ganeriwal of Hyderabad.The temple is dedicated to Lord vishnu known as here Lord Rangji or Rangnath.The idol is very beautiful and kept in the 3rd room inside which itself gives a very different view. 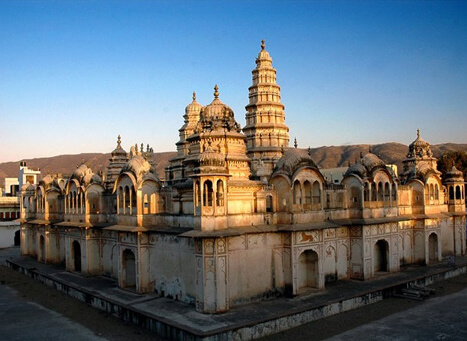 The temple of Rangji reflects a mix of Mughal and Rajput architecture. 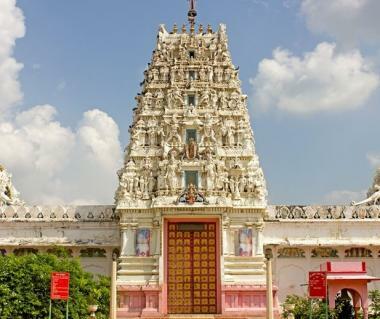 The high-rising Gopuram also reflects South Indian architecture, and adds more charm to the whole temple.There are idols of other gods as well in the temple such as those of Goddamaji, Goddess Laxmi, Lord Krishna and Shri Ramanujacharya. The temple is one of the most popular tourist destinations in this part of the country where followers come to pray and give homage to the deities of the temple. 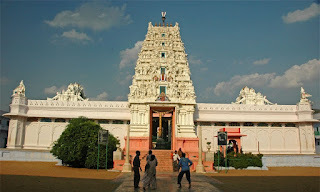 Temple provides prasadam to the people here (3 times a day) which is a really good way of helping poors. The Rangji Temple is open to every religion in the world. 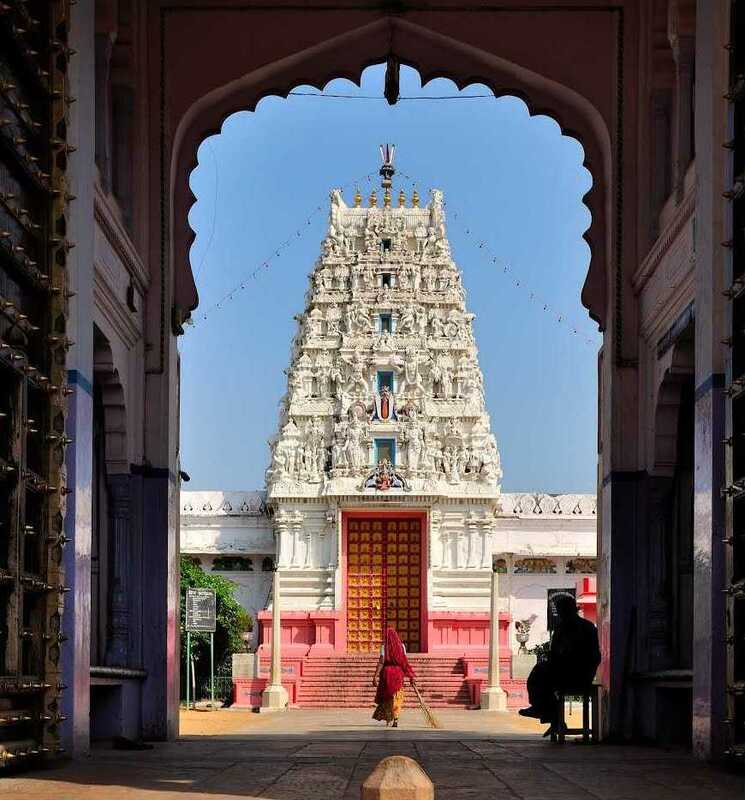 Thus, every year, a huge number of pilgrims, mainly Hindus, pay a visit to Pushkar to pray to the deities. There are many small stalls outside the premises of the temple from where the utilities for worship can be purchased starting at 100 INR.Really Rangi temple is very big and beautiful.Must visit this temple.